If I didn't already have enough Halftracks to equip a Pz Div 1 to 1 their sdkfz 251 box looks nice. Trick is you sorta need to know your list to build the right versions. But with FoW changing the rules, briefings, and points to obsolete your lists every time you turn around that's a no win situation. Which is why I stopped playing. Cheers! I still prefer the Quality Castings by 19th century. They are not per pack so you can get only what you need. The cost is similar as well. The problem remains the price point. 5 vehicles at $45. USD PSC, through NWS Online, is $18 USD for 5. With PSC you do need to buy an additional kit for the support weapons. 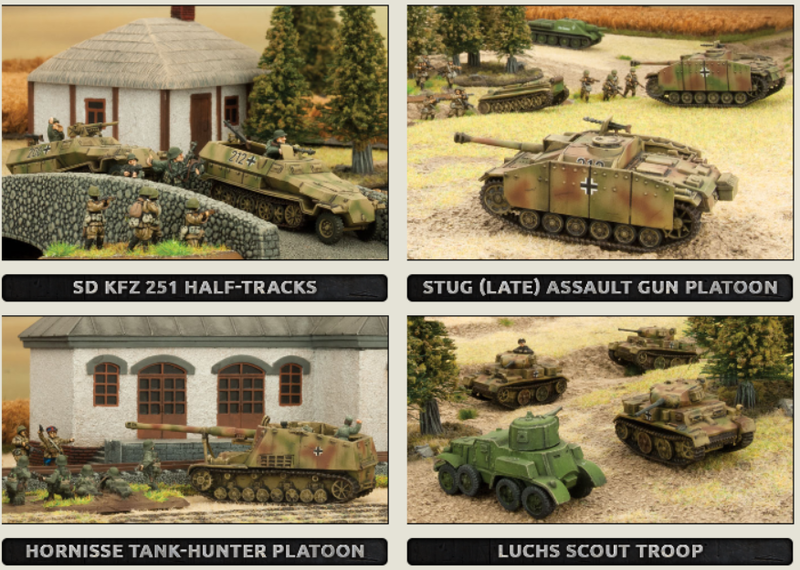 For the halftracks yes and still cheaper to buy the two boxes then one from Battlefront. Also the PSC conversion kit is enough to do 16 different vehicles. Too many other good alternatives. For a more basic model can always do Zvezda for some vehicles for example. I still maintain just too pricey compared to the competition.